Beautiful little thing! So original! I purchased this as a gift for my wife and she loved it!! Good value for money.. The website is simple to use. You can collect points to use on your purchases. The delivery time is excellent. 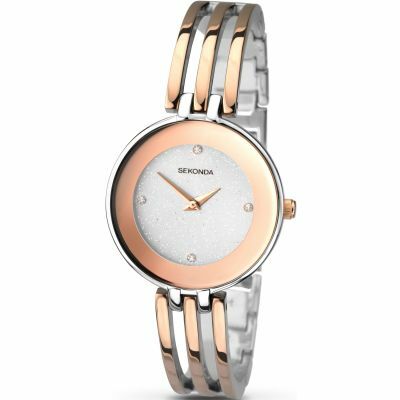 This is a beautiful Sekonda watch which sits beautifully on my wrist, has a clear dial and very good value for money. Much admired by family and friends. I bought 2 of these watches for my Mother and Mother -in-law and they are really happy with them. Lovely quality watch,very attractive and eye catching. this would suit any occasion. Very nice watch, good value very pleased with it. Bought this as a gift for my SIL. She was very pleased to receive it. It suits well and looks a lot expensive than its price. 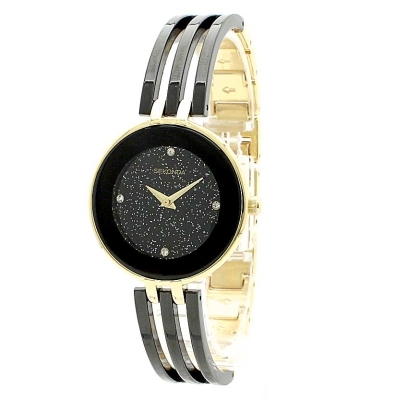 The glittery dial and bracelets straps give it a very chic feel. item is very good and its good looking when it wear and best quality and colour is excellent.product is good and i am 100 percent satisfy. I like the style of the bracelet, its different and the black and gold pairing goes very well. It also complements the face of the watch as well. The picture of this watch is accurate, there were no differences when the watch came. I wasnt aware when i ordered it but there are some gold links on the bracelet of the watch so the bracelet is adjustable. My hubby bought it for me as a wedding anniversary gift,I am so happy and it is gorgeous.And it looks much more expensive than it was.I am attracted with its gold and black combination,and it suits me a lot.Thank you my dear for presenting me a precious gift. 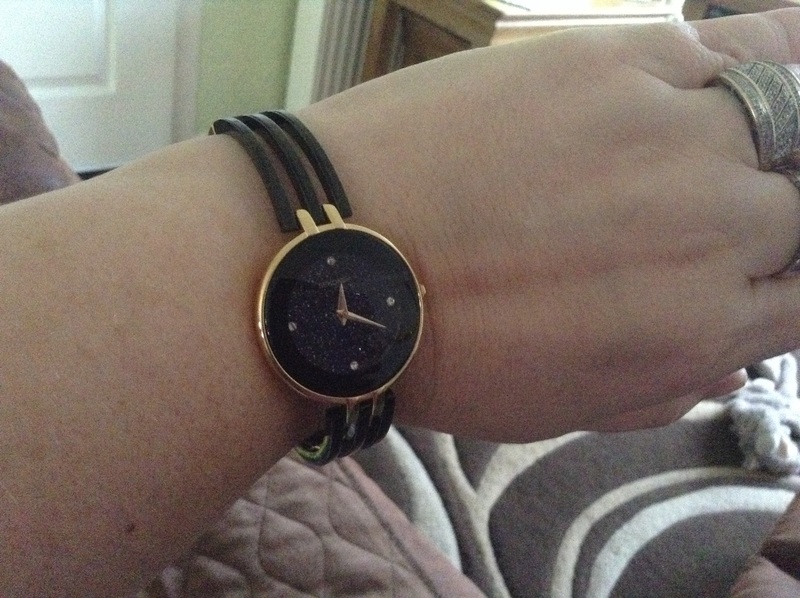 my husband bought this watch for me as a wedding anniversary gift,its a precious gift for me and it is gorgeous.I am attracted in its combination black and gold.It looks much more expensive than it was.I am very happy,thank you my hubby for this precious gift and thank you watch shop.